Primary sources are artifacts, documents, letters, autobiographies, photographs, recordings, video footage or any other source created during the time period one is studying. With the rapid advancement of technology, primary sources that were often difficult to access by researchers (Often due to issues such travel or financial restrictions, or perhaps not having proper authorization) are now being digitized and made available online. Primary sources can not only be used in historical research, but can also be a tremendous resource for the study of civic responsibilities. In this entry we will highlight some interactive projects designed to teach civics and citizenship, supported by grants from the Library of Congress. The resources can also be accessed via this site. The projects are intended to provide students with opportunities and resources to learn about civic participation utilizing primary sources from the Library of Congress’ online collections. Please click on the links below to explore the various interactive sites designed to teach history and civics using primary sources. This resource was developed by iCivics and teaches history and civics through the use of primary source documents and evidence-based learning. The resources can be accessed with mobile devices, making it more accessible for students. The site teaches the importance of reasoning based on evidence and valid sources. The exercises and lessons teaches students how to identify, evaluate and critique evidence, contextualize information, so that they may as a result write sound supporting arguments. This site is a customizable system using primary sources for inquiry-based learning. Students at all levels (Elementary through Secondary) can use primary sources from the Library of Congress can challenge a question, collect evidence, and make a case guided by Casemaker. This is a great resource that challenges middle and high school students by leading them in solving and creating interactive challenges on American history, civics, and government. This site also utilizes Library of Congress primary sources to help students develop civic understanding and historical thinking skills. The site introduces a new way for elementary students to engage with history through primary sources. There are nine interactive episodes that children can explore, focusing on civics and government concepts by investigating primary source photographs from the Library of Congress. Students can also connect what they find on the site with their daily lives. Teachers can also use KidCitizen cloud software tools to create their own episodes and share them with students. I think in this era it is very important to utilize the direct source of information to learn about history. Textbooks often whitewash history and misconstrue the way events happened. 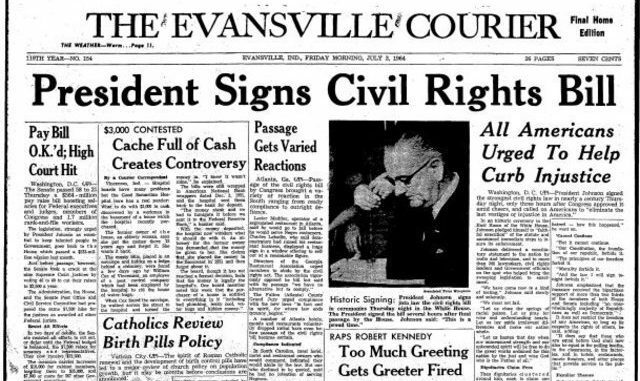 Providing students with the ability to see the documents and journals written by historical American figures who were present at the time these issues came to fruition allows students to fully understand the way our country has evolved. The way technology has transformed in the last decade has made it possible for these historical documents to be readily available online. I believe this will change the way civics and history are taught for future generations to come, as the primary source is now available right at students’ fingertips. This article reviews a few websites that provide primary documents for students to view and learn from. It is nice for teachers and students to have access to the primary documents, especially since these documents provide students a first-hand look at history. The primary source documents may provide students with a more unbiased view of history than some social studies textbooks. Being able to show students real documents from our country’s past is very benificial. A lot of textbooks that are in our schools do not give the full information of what happened or how different things have happened. Being able to use real life documents will provide students with information that is not tampered with. I also think it’s pretty cool to see old documents from our country’s past. It could even get students more engaged in learning. This article is very exciting to see because so often students don’t know where to look for information and have no means to go to a museum or to travel to historical sites. It’s very helpful to familiarize students with findings from history and show them ways to utilize these websites in helping to teach them more about history and civics. It also gives teachers the ability to show examples of artifacts and findings to validate to students the information they teach. I was lucky enough to have parents who read books about history to me. My favorite was “Duck For President” by Cronin. My favorite documentary to watch was “Ruby Bridges” by ABC. My parents wanted me to understand how far we have come as a country, and how we need to continue to grow. It would have been cool to have the internet for them to show me the original articles when I was older. My dad had a second hand copy of the newspaper about Rosa Parks from a museum and would talk about it with us. This article helped me remember all the memories. I think that using primary sources in the classroom is absolutely essential. It is so impactful for students to read what was actually written, rather than what someone says was written. The more that students interact with primary documents, the more comfortable they will be interacting with that type of document. I think that so many of the online resources that are available are great for students to engage with social studies in a new way. I have been in a classroom where students were playing games on iCivics and they were making decisions with real-life political implications. Students were excited about the interactive games and they were able to make connections between the choices they made and the ramifications of those choices. It is crucial that students and everyone really understands the importance of primary source, especially to me as an educator focusing on History. We are in the age of technology where information is at our fingertips and it is important that we utilize these sources. Without the primary sources, the stories and recounts that get passed on will eventually loose little piece one at a time. Having these sources available allows history be told as it was seen first hand. These are great sites and I wish I had known about them when I was younger in school. Primary sources are definitely something that should be taken advantage of in this day in age because we have access to more history and knowledge a lot easier than they did in the past. Being able to learn the world at just a click of a button opens door to us to be able to learn and pass down knowledge. One thing I can really appreciate about this article is that it has a list of some of the sources that other scholars could use and learn from. Primary Scources area prime key in learning about history and the important documents that come with it. These things should definitely be taken advantage of because of the unlimited access that we have now. There are so many websites that show and provide primary sources that it is almost impossible not to find any primary sources throughout the web or through your local library. This article provides a list of sources that seem very useful. Primary sources are extremely important to any subject but especially history. If we chose not to use them then there is a lot of information that will be missing from our lives. When we think about it primary sources are easy to find and at our finger tips or even at a library. This article just emphasizes that fact more and gives us some links. This article was great to gain primary sources to help teach history and social studies. I liked how their were a lot of interactive resources for students to explore. I think that having the resources coming straight from someone that actually experienced the different events helps students to be able to gain a deeper understanding of the topic/event. I think talking about the importance of primary sources in teaching social studies concepts is a great resource in the classroom. When we come across a source knowing if it is reliable and factual is something students should be able to do on their own. I think that this article is very important for future as well as current educators. In my personal opinion primary resources are one of the best ways for students to learn about history from the perspective of that time period and so having these resources so they’re readily available and easy to access is invaluable. I think back to when I was in school we did not use a lot of primary resources because they were hard to come by, however I am saving these links so my students have the opportunity to view them in ways that I did not. Learning from History books can be useful and most beneficial in some circumstances but I think it is important for the students to have teachers who know how to use all types of resources to teach and this article provides links to make this easier for us. This is an incredible list of resources that can be used for education. Especially because of the recent fire in the Notre Dame which destroyed so many historical artifacts the only way we can have these documents forever will be through digitization. Whats also nice is that unlike a lot of resources these websites are interactive which I feel helps students learn more than simply browsing. I really enjoyed exploring the sources you provided, especially Casemaker. I know my students would be engaged if we used these in class. I’m excited to try some of these when I student teach in the Fall! I like using primary sources in my lessons because it truly immerses students in history. I agree that technology has made it easier to access more primary sources, which is great for teachers. Students also respond well to technology so these sources are perfect for the classroom. This is an amazing article filled with different resources that i know my students would love and be engaged in using SOme of these resources especially the interactive ones. Technology has made it incredibly easier to find these sources and to bring them into the classroom setting. This is a great resource that I can show my students when studying about primary and secondary sources. In a world of modern technology this is a great way to have students look at old documents. It makes it that much easier to access for students because of the technology around them. I definitely want to utilize these types of resources with my students someday.